Liri Tent Technology is a leading Chinese company in manufacturing, selling, and renting event tents. Our products about event tents have been exported throughout the world to over 120 countries. All of our operations are strictly conducted in accordance with ISO 9001:2008 quality control standards. As event tents pioneer in China, Liri Tent gains over 20 product patents. The main frameworks are manufactured by hard pressed extruded aluminum alloy. And the covers and sidewalls are made of flame-retardant double PVC-coated polyester textile. Our clear span structure tents have sizes ranging from 3m to 60m. Those shapes include regular A shape, arch roof, pagoda shape, hexagonal, and geodesic dome. We have the perfect temporary or permanent space solutions for all of your outdoor events. In the past 15 years,we always focus on the innovation of high-quality clear span tents,therefore we have a rapid development and won a good reputation in China and around the world. 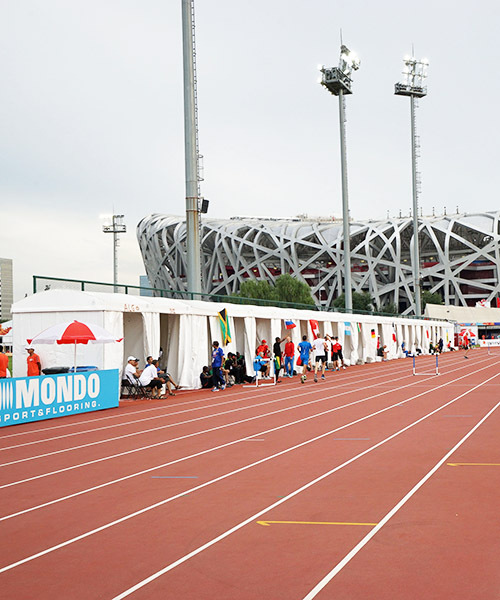 For this reason,we have been appointed as the Exclusive Tent Supplier of 2010 Guangzhou Asian Games and 2011 Shenzhen Universiade. It was our great honor to provide about 100,000m² tents to these two great sports events. 2016 LIRI TENT has attended a National Key Research and Development program, which is called “High Performance Textile Flexible Production and Application”. We are largest event tent production base in the world with 100,000 sqm. Additionally, we have the most advanced equipment--CNC. We have our own shipping department, we can provide secure shipping. All you need to do is waiting to receive your goods.